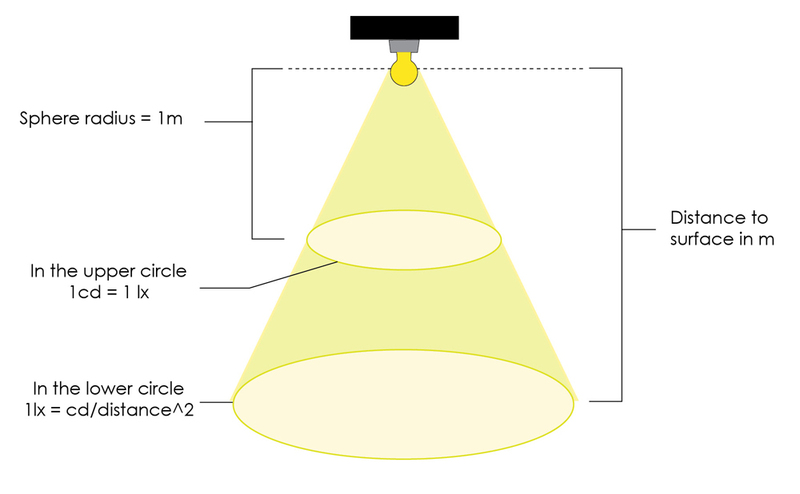 Illuminance measured in lux (lx) tells us how much light will fall on a specific area from one or more light sources. Lux is a shortened form of lumens / square meter. A very good way to explain illuminance and luminous flux is the shower analogy. 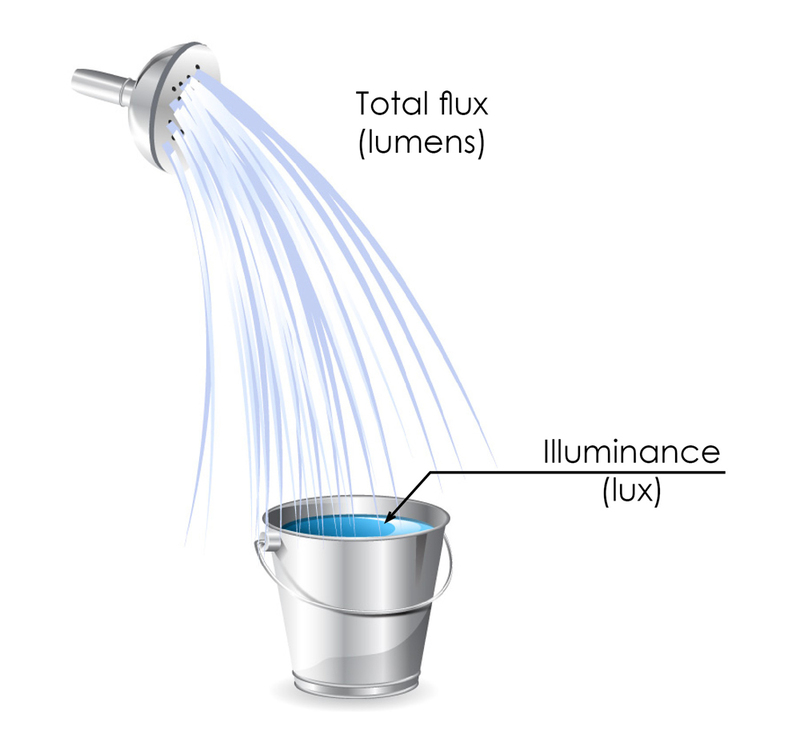 Luminuous flux may be compared to the amount of water flowing out of the shower, and illuminance to the amount of water collected in a bucket at any given time. It must be emphasized that the same stream of water from the shower can give you a different amount of water in a bucket by, for example, moving the bucket or changing the stream coming out of the shower or by placing an obstacle between the shower and the bucket. The total stream/luminous flux does not specify what the intensity/illuminance will be delivered to the desired location. This is crucial owing to the fact that the lenses, reflectors, lamp housings can significantly change the luminous flux falling from the source on the illuminated surface. We should not assume that two different lamps of the same light capacity expressed in lumens will illuminate a given area in the same way.